Love that jazz music? Share that love with the Jazz Concert Invitation! 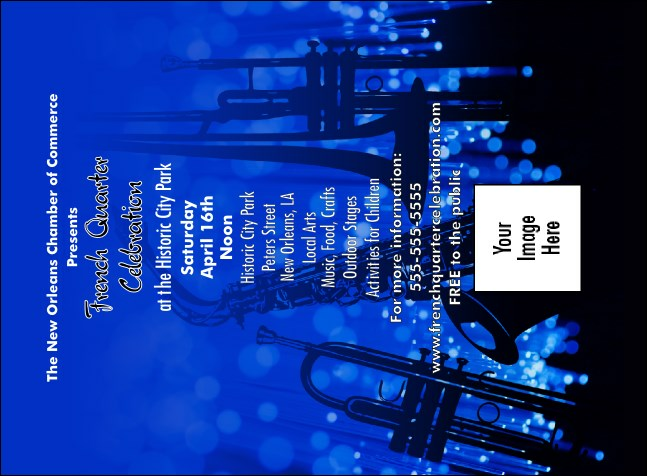 This vibrant, full color invitation template bears the image of brass instruments; behind them the background sparkles. Let everyone know about your next jazz or blues concert, and get ready to have your joint jumping! Swing your way to a successful event! Check out matching designs at TicketPrinting.com.